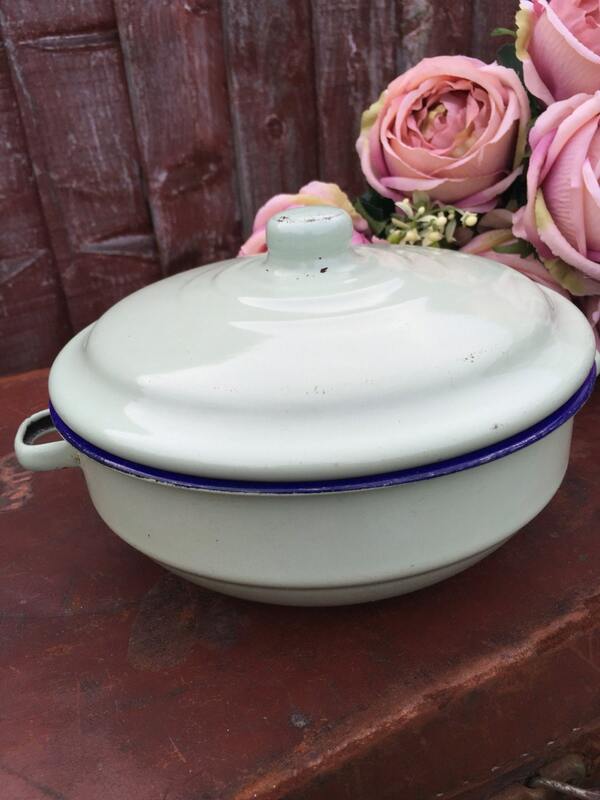 This is lovely piece of mid century vintage retro kitchenalia which would look great in a french country, retro or farmhouse style kitchen. 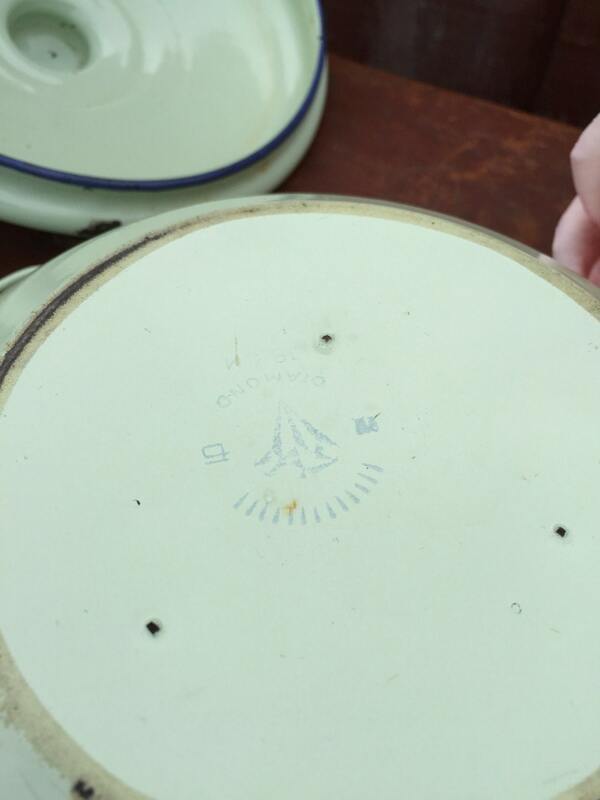 Both the dish and the lid have handles that could hang from a hook or sit on a shelf. 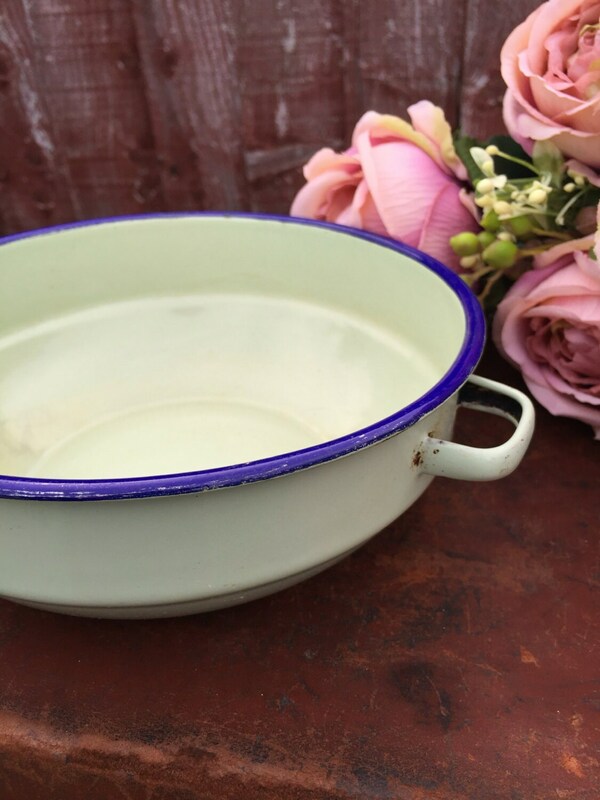 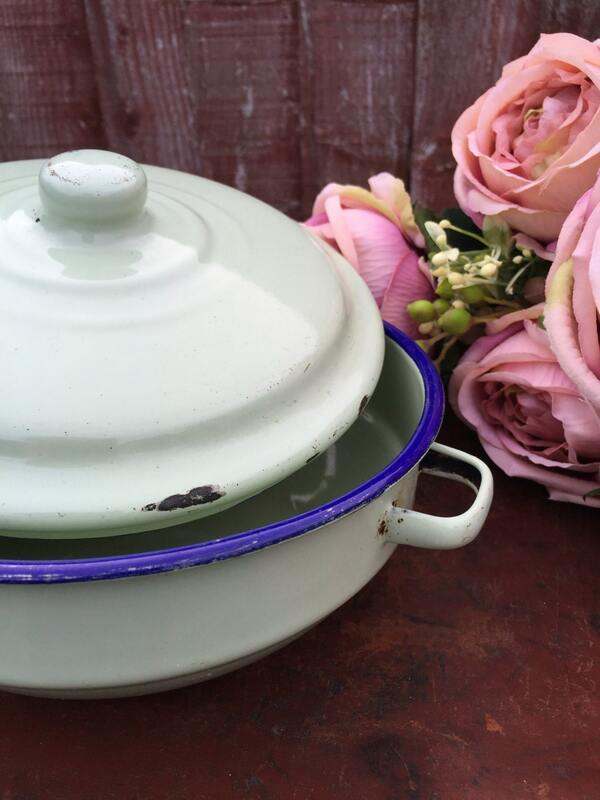 The colour is unusual in a pastel green and blue and not the usual white and blue enamelware. 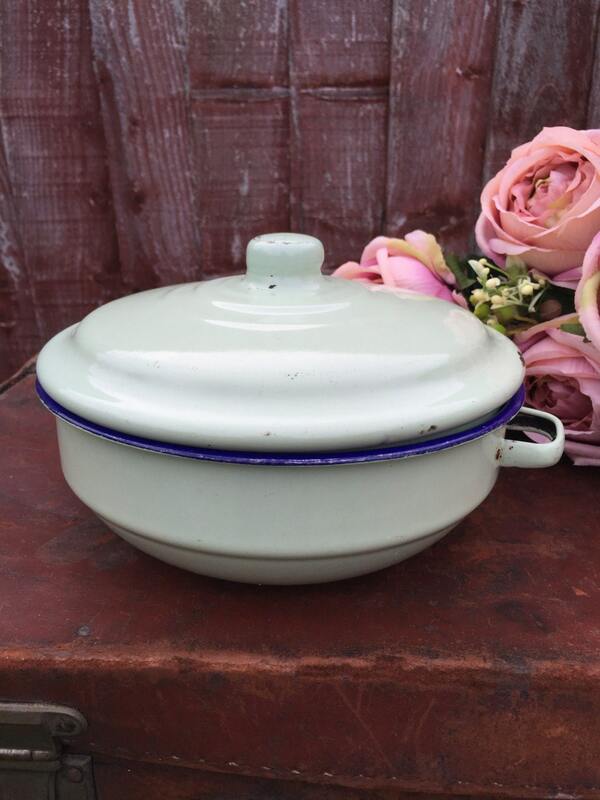 Can be used as a stockpot or casserole dish.